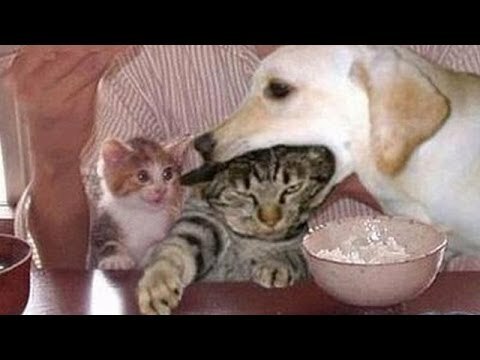 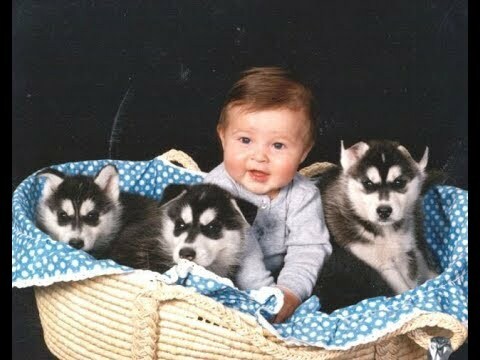 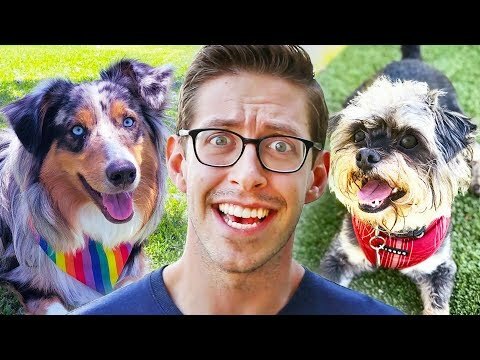 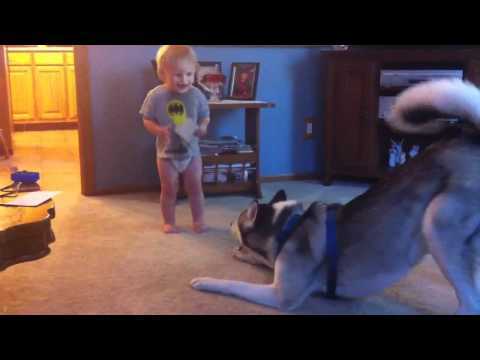 Everyone knows that little children are crazy about pets. 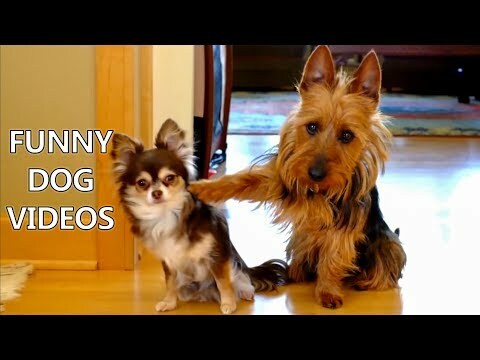 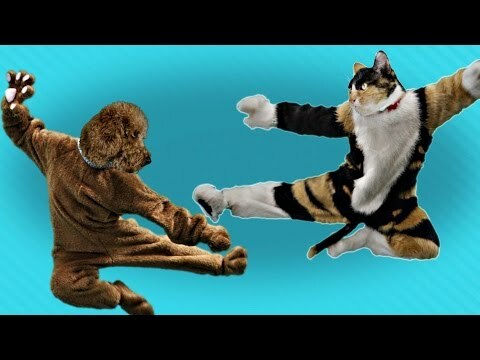 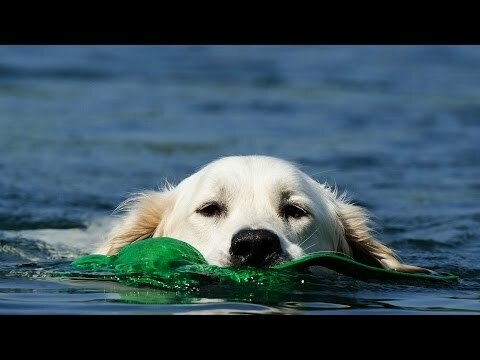 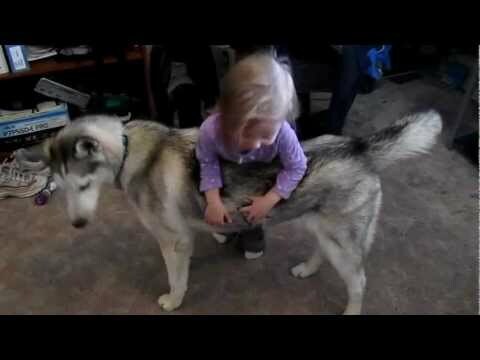 They enjoy playing with them, giving hugs and kisses and even pulling their tails. 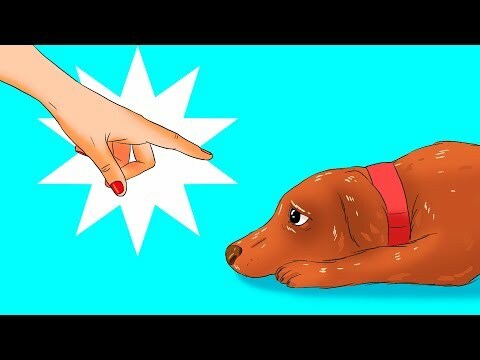 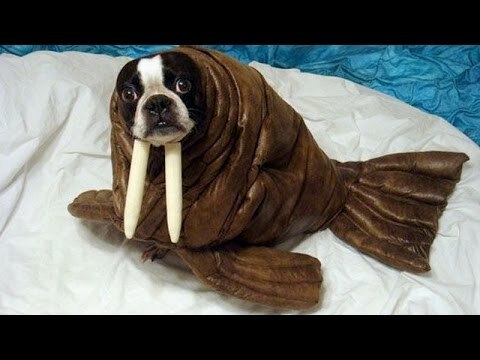 And which other animal would bear all these tortures better than a dog? 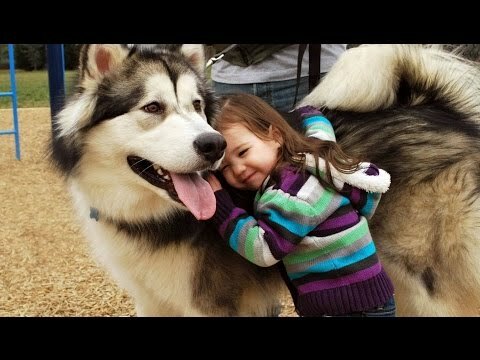 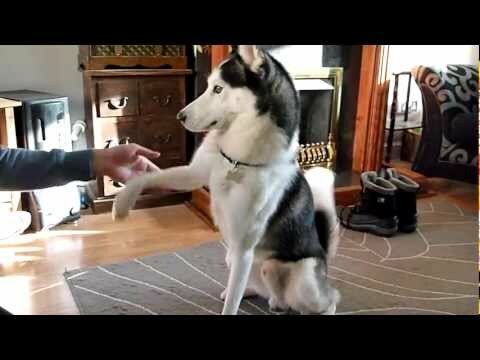 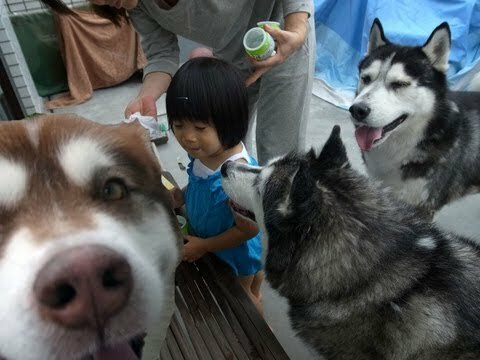 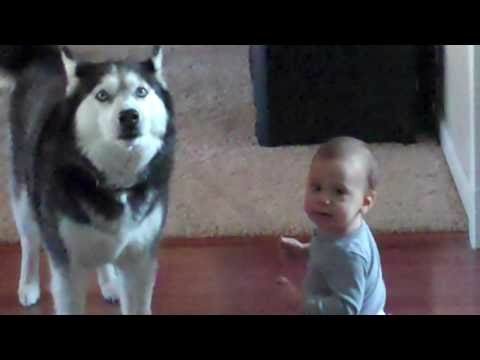 Enjoy Madison trying to hug and kiss Husky - the cutest interaction ever caught on video! 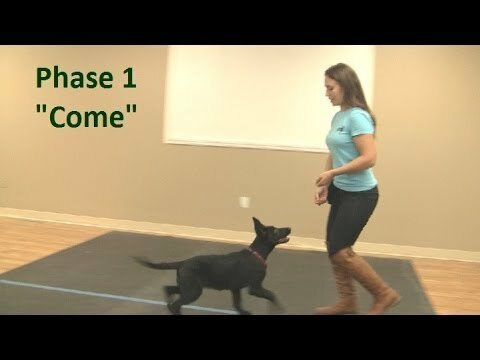 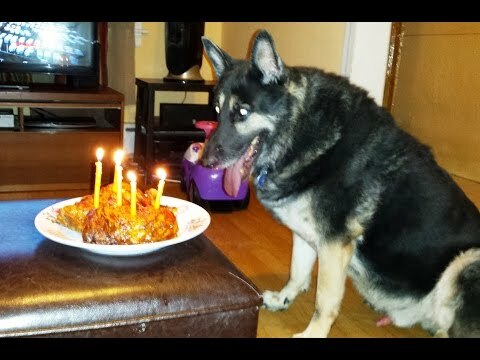 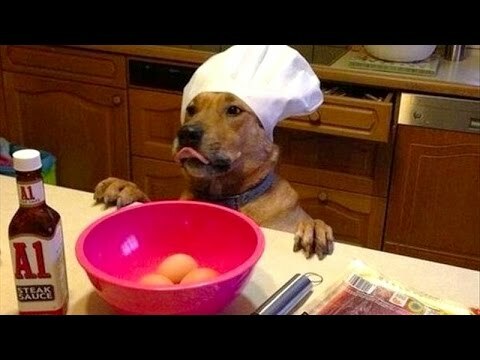 German Shepherd Gets Chicken Thigh for Birthday! 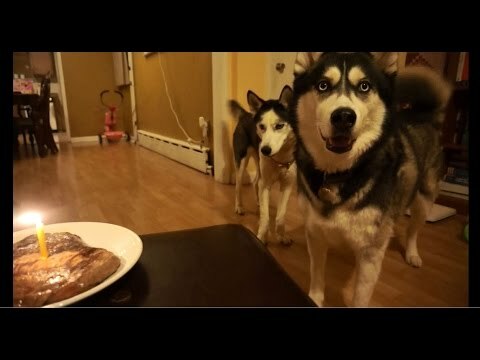 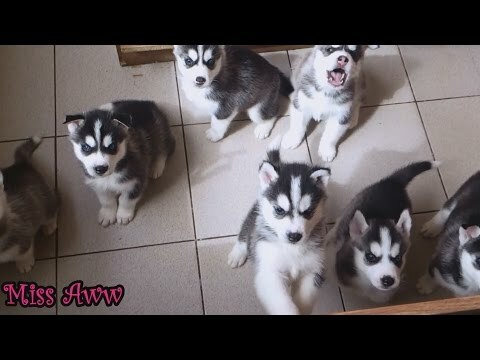 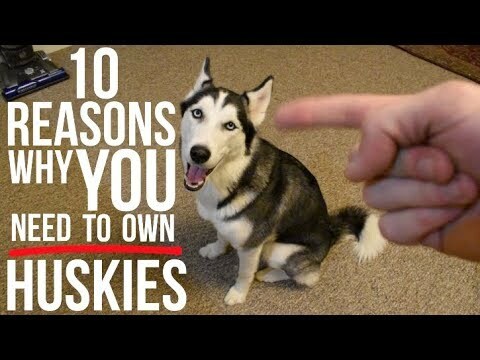 Talking Huskies Want Steak for Birthday! 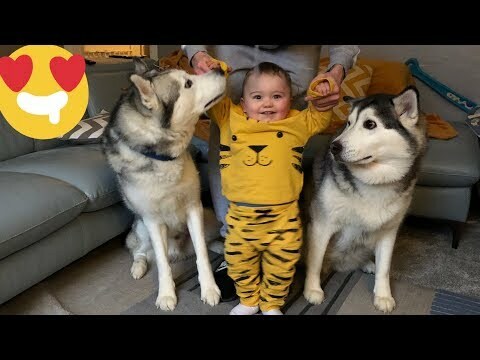 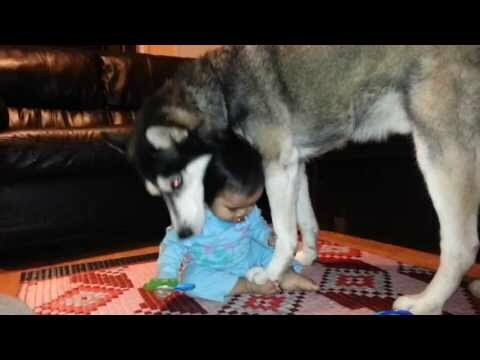 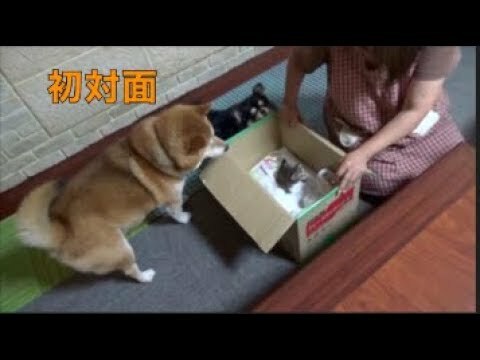 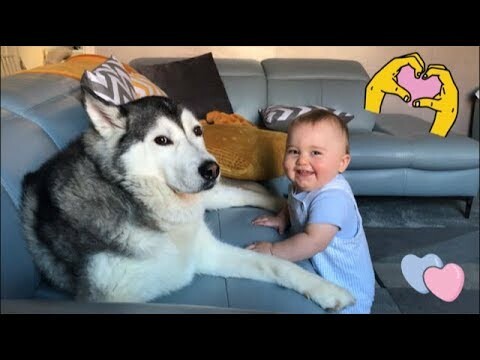 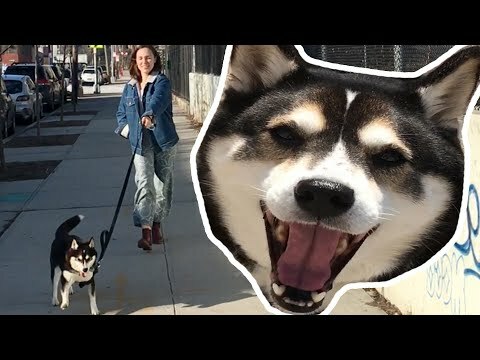 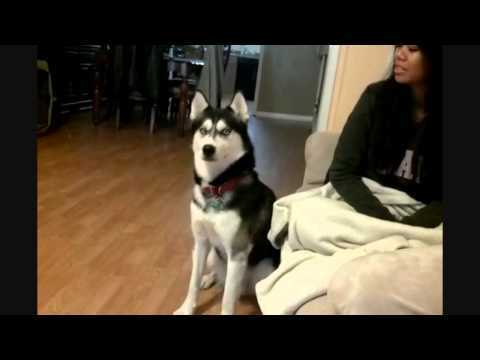 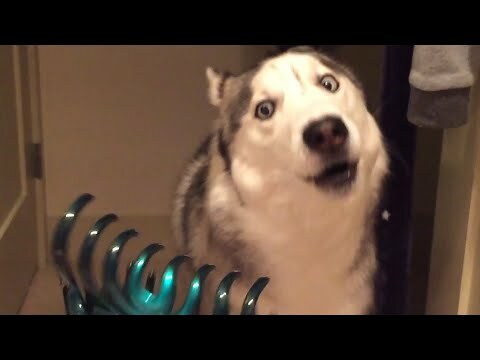 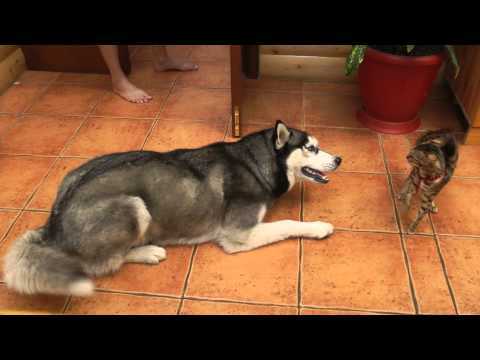 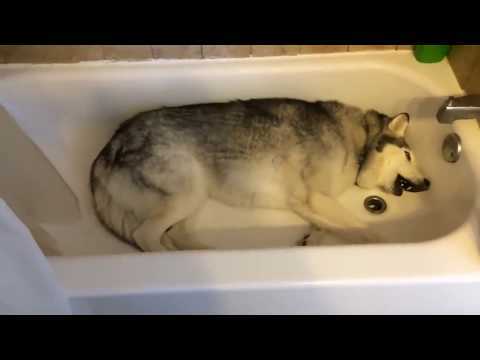 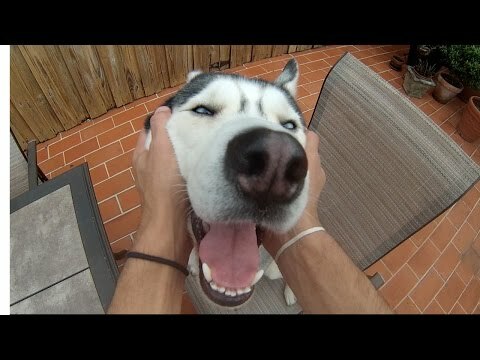 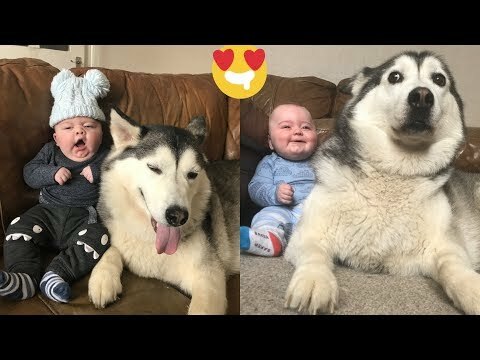 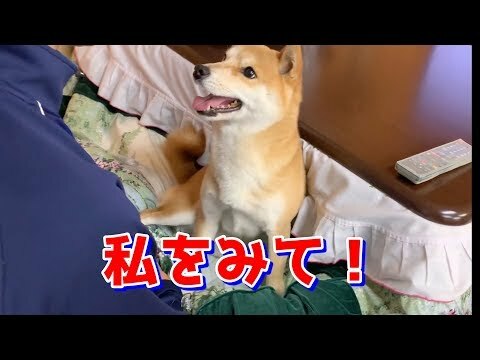 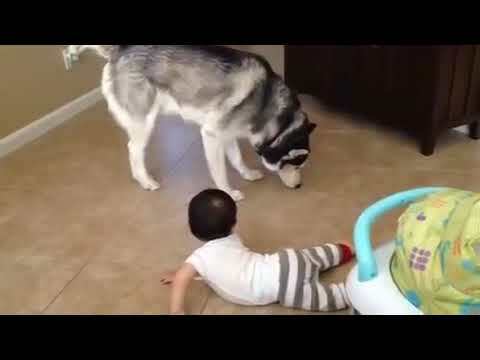 Siberian Husky Fights With Baby for Toy!